The day we completed our trek of Mt. Kilimanjaro, we headed back to Arusha to enjoy the warm beds and gourmet dining at Machweo Wellness Retreat & Fine Dining. We were told during our recent trip to Africa that “you don’t come to Tanzania for the food”, which is likely true given the stunning scenery, amazing wildlife, and endearing people to be found in this enchanting country. 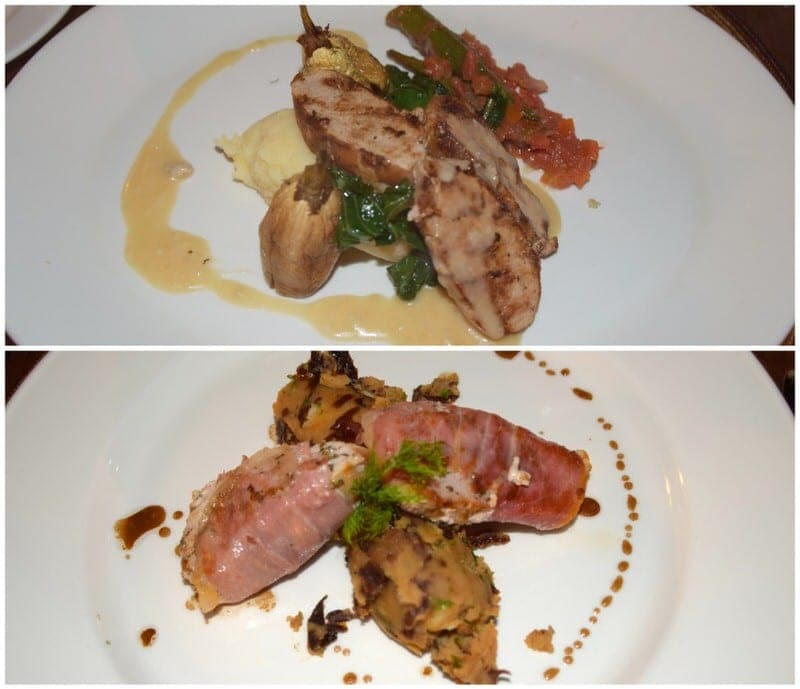 Ethan and I found the food to be quite tasty throughout our travels in Tanzania, but travelers looking for restaurants serving up gourmet dishes may be hard-pressed to find good options. Tucked away in the green hills just outside of Arusha, travelers will be pleased to discover not only a small boutique hotel but a restaurant that has been critically acclaimed for its European-African fusion four-course gourmet meals. Sitting side-by-side Onsea House and Machweo are two properties jointly run by the Janssens, a Belgian family consisting of couple Dirk and Inneke, their young daughter Ella, and their cousin and chef Axel. 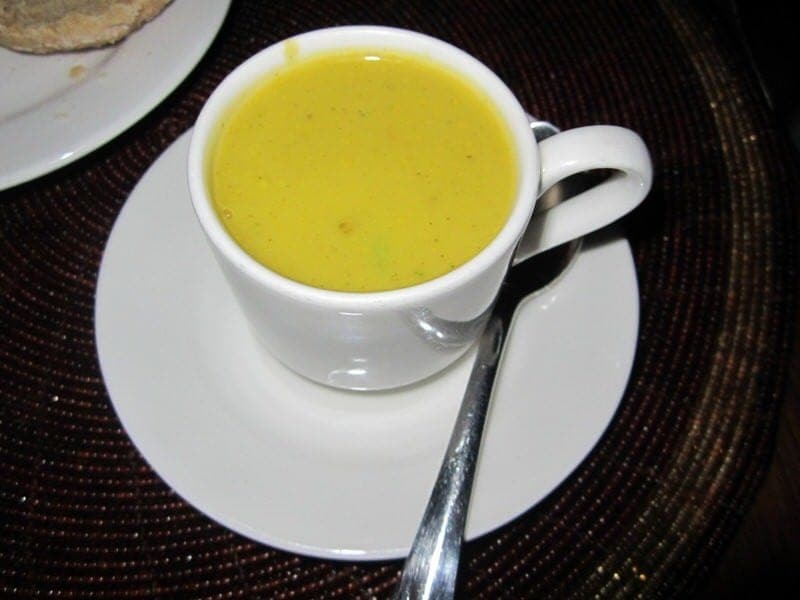 Dinner at Machweo is widely considered to be the best meal you can have in Arusha. 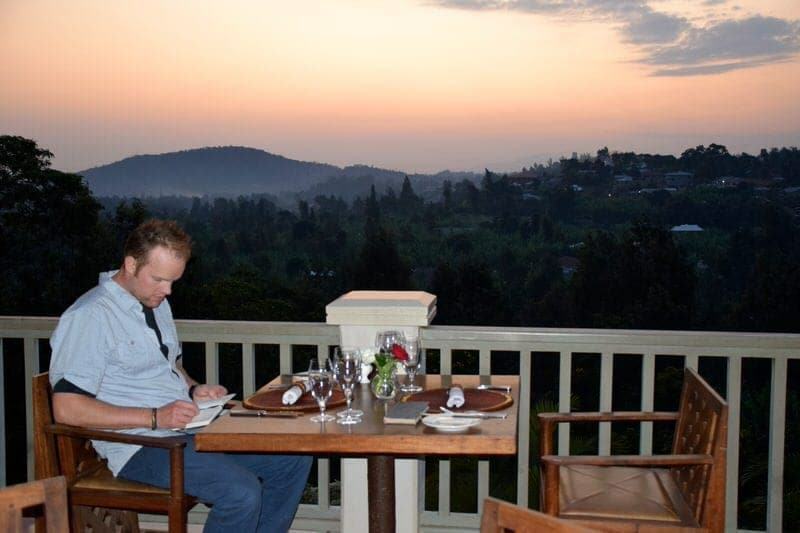 Following our Mount Kilimanjaro climb, we treated ourselves to a suite at Machweo and dinner at the restaurant to find out if the rave reviews were justified. Always a good sign when you find a kitty waiting for you at reception! Onsea House is a well-known small boutique inn which opened in July 2006. Its sister property, Machweo Wellness Retreat & Fine Dining, is located adjacent to Onsea House. Machweo expanded the amount of available lodging by offering 9 guest rooms beginning in 2011 as well as a new space for fine dining and spa services. 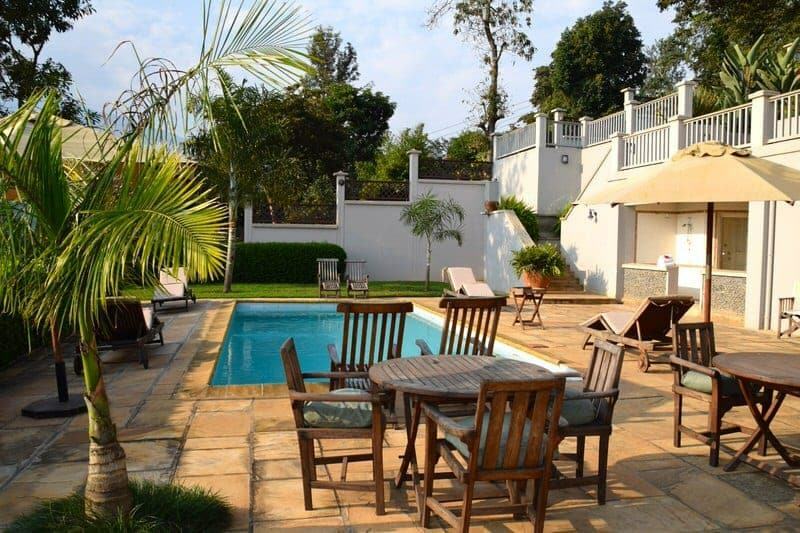 Location: Located approximately 7 minutes driving from the town center of Arusha and a 30-minute drive from Kilimanjaro International Airport. Room Prices: Prices currently range from $250/night to $340/night for a double room depending on the season; prices range from $380/night to $470/night for a double room plus half board. All bookings include breakfast. Dinner Prices: Dinner is $65/person if it is not included in the room package price. Dinner Reservations: If you are not a guest at the hotel, please call ahead to make a reservation for dinner. Dinner can also be booked by non-guests of the hotel although guests are given priority. Together, Onsea House and Machweo offer 14 guest rooms. 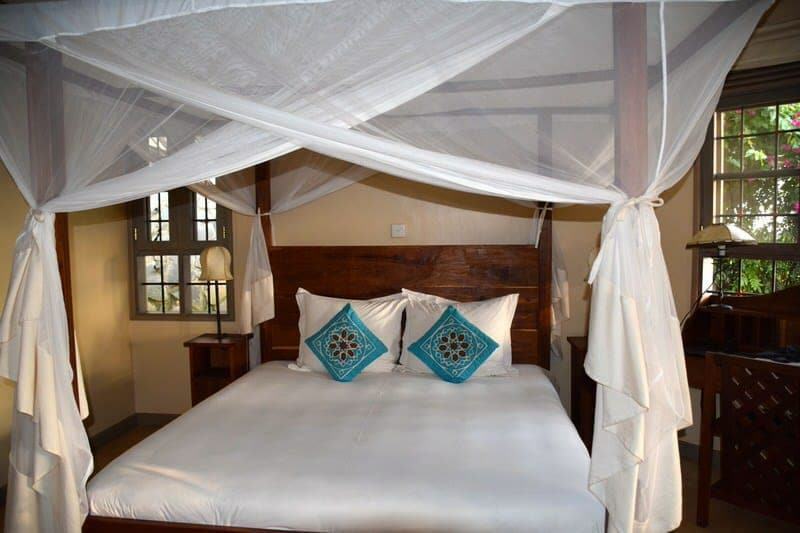 Machweo offers 9 guest rooms with 6 Cottage Suites and 3 Honeymoon Suites. 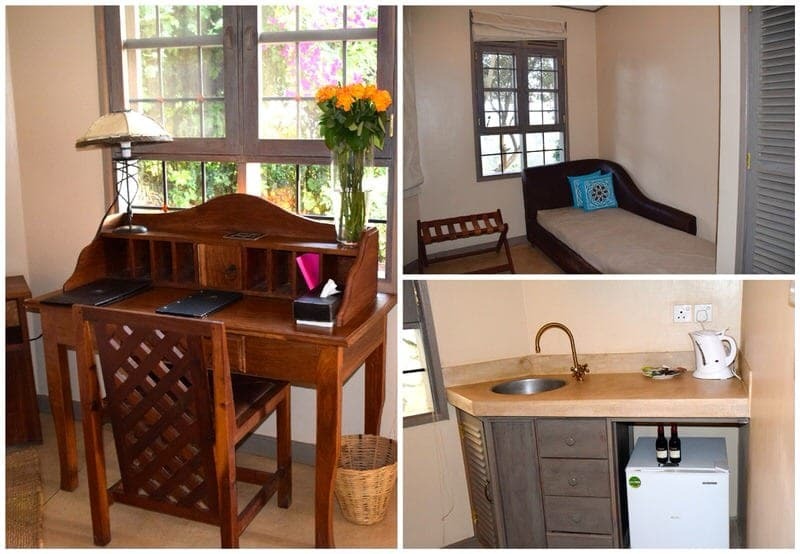 All the Machweo rooms offer indoor and outdoor sitting areas, small kitchenettes, mini-bars, writing desks, four-poster beds with mosquito nets, flatscreen TVs with satellite channels, hairdryers, safes, rain showers, and toiletry items from Gilchrist & Soames. The Honeymoon Suites also offer freestanding bathtubs. Our arrival went very smoothly as we were greeted by staff members who swiftly grabbed our luggage, handed us wet towels and juice, and led us to the Reception area to sit to complete the check-in process. 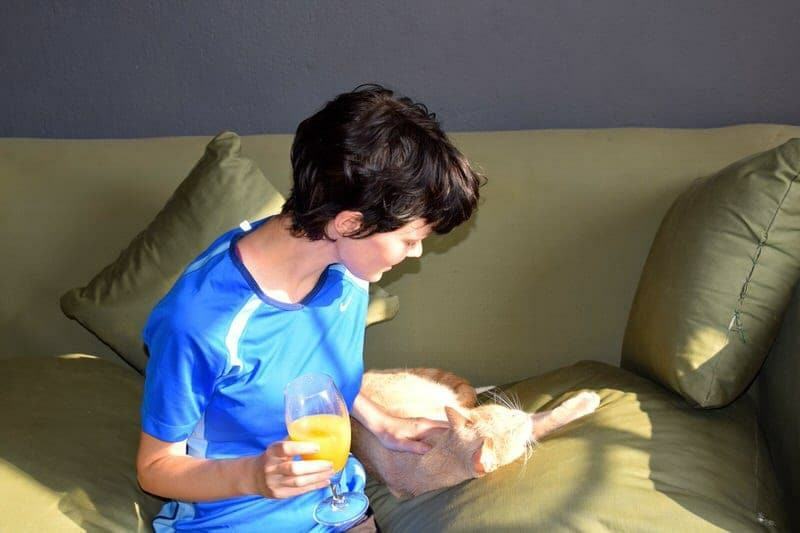 Staff members politely ignored our post-Kili state of dirtiness and disarray and we were delighted to discover the resident kitty on property. 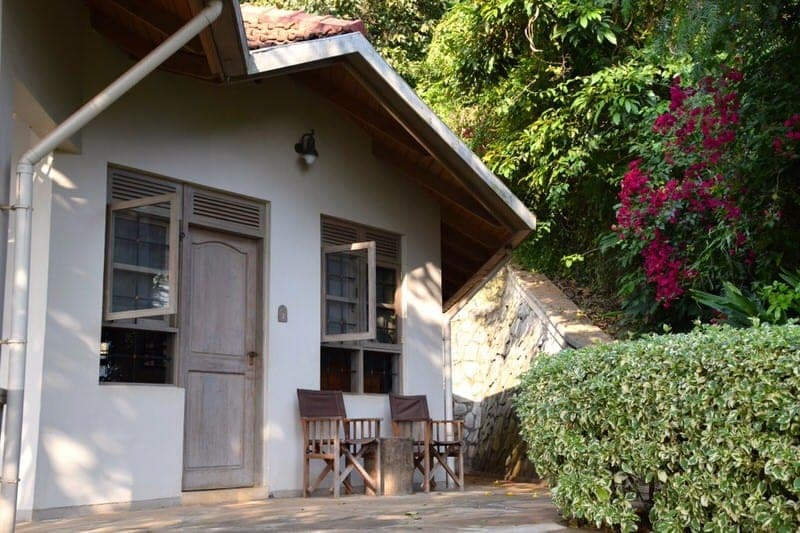 We’d already been to Arusha, which is the tourist center in Tanzania for those starting safari or Kilimanjaro climbs, and we were struck by how lush and quiet it was at Onsea House and Machweo. 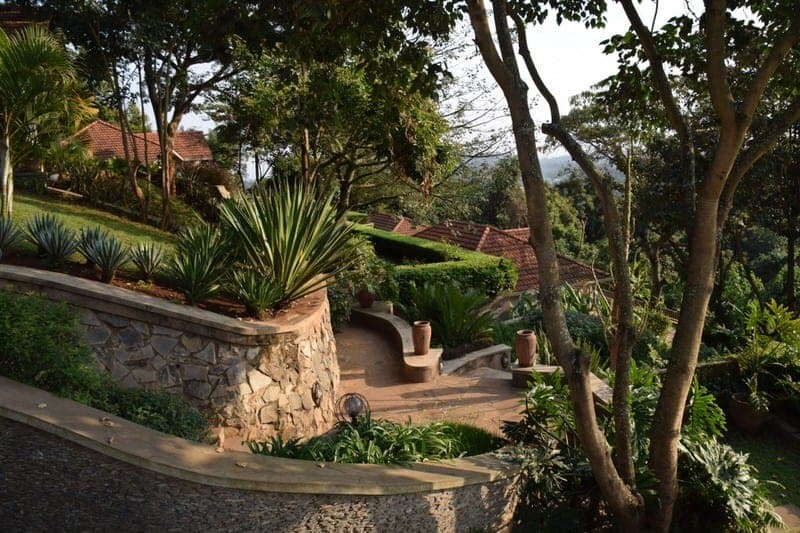 Situated east of Arusha and perched on the Namasi Hill, the property is surrounded and covered by trees and subtropical vegetation. 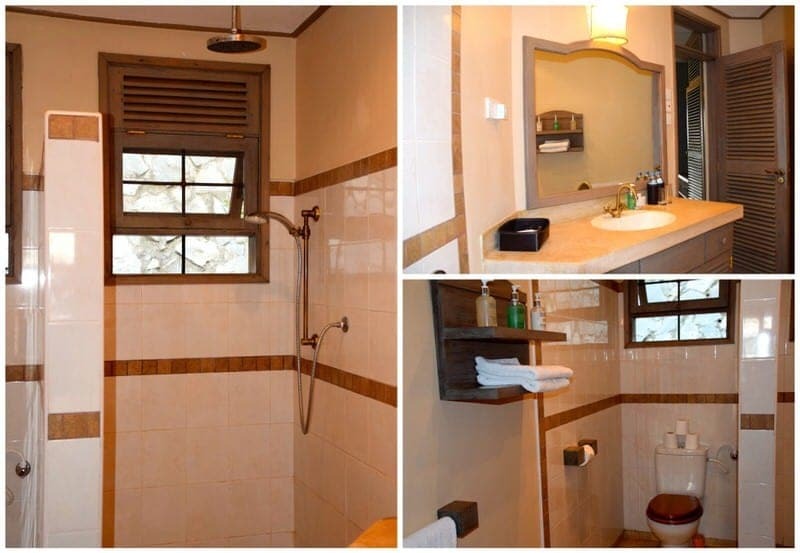 The setting is quite tranquil and allows you to think that you are quite far away from the busy tourist hub of Arusha, although it is less than 10 minutes away. We stayed in one of the 6 Cottage Suites (Cottage #7), which are detached little cottages placed on the hills of the property. 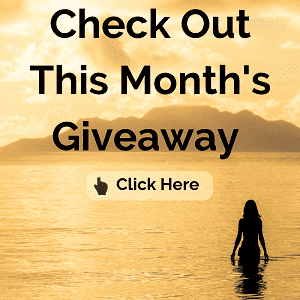 We had read reviews about Onsea House before arrival and we were expecting a suite within a guesthouse, so we were happily surprised to find we had our own little cottage which offered a lot of privacy. 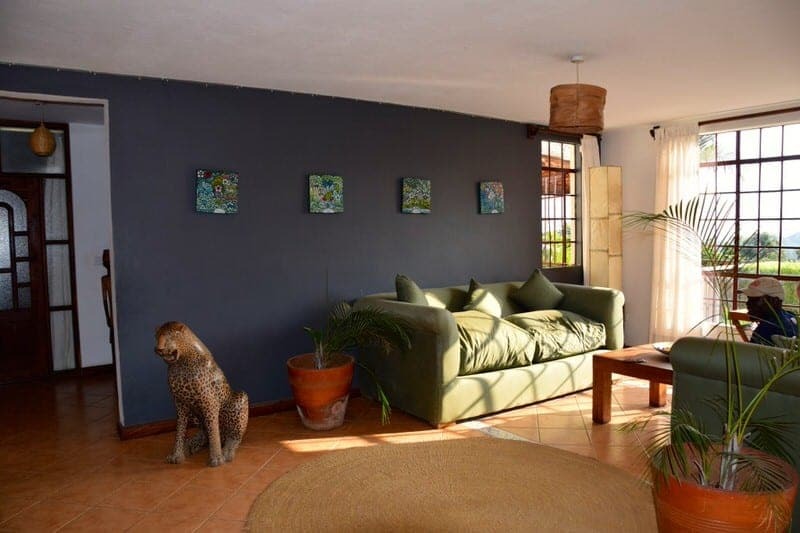 The cottage was very clean and it is clear that much attention had been spent on decorating details such as the placement of locally made wooden furniture and art. The open-plan bathroom was large and we were very pleased to have added luxuries like a hair dryer (these are rare in Tanzania! ), robes, and nice toiletries. The four-poster bed was like heaven after camping for the past 6 days! I was elated to know there was free wifi so we could notify our family and friends back home that we were still alive and how the climb had gone although we were so tired we didn’t spend much time online. Chairs on the porch allow you to sit and enjoy views of the gardens and Mt. Meru in the distance. 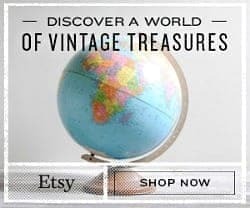 Quite frankly, after going 6 days without showering, sleeping in a real bed, or enjoying any real luxuries, we appreciated the simple things the most (soft bed, flushing toilet, hot shower) but the added little luxuries were also quite nice to have! If we had to say what we think could be improved since our job is to be thorough reviewers, it would be minor things. It would be nice if either slippers were provided (robes are already provided) or if there were more rugs in the cottage as the floors were quite cold during the evening and mornings of our stay (we stayed during winter). A shelf in the shower for soap and toiletries would also be convenient although we used the edge of the sink counter. Lastly, we would have preferred a telephone in our room rather than needing to walk to reception for requests and to make local calls, and this would have also allowed staff to call us for the offered morning wake-up call rather than needing to walk to our cottage. However, these minor things in no way impacted our enjoyment of our stay at Machweo and we thoroughly luxuriated in our post-Kili stay here! Breakfast, lunch, and dinner are served at the Machweo restaurant, offering both indoor and outdoor seating. 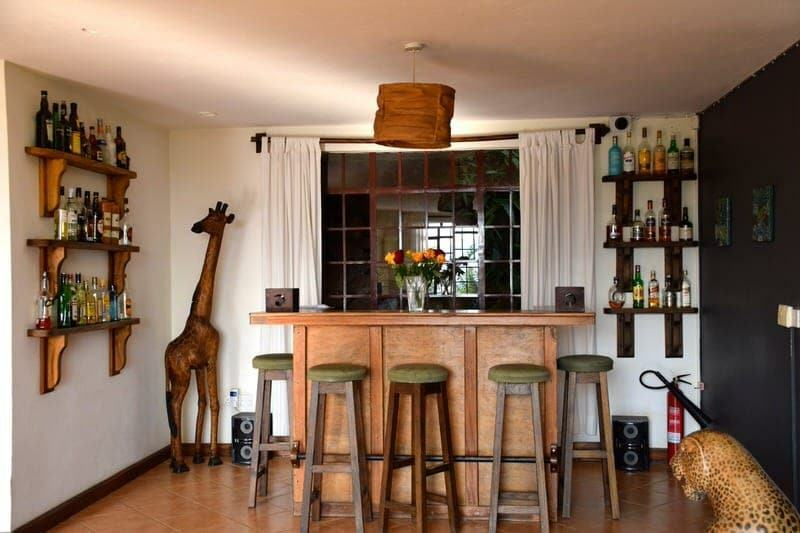 There are also bar and lounge areas at both Onsea House and Machweo. 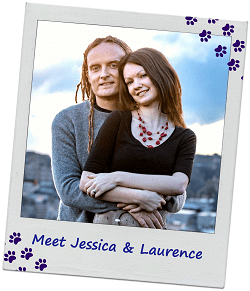 The Belgian chef Axel Janssens trained in Europe and worked at a number of Michelin-starred restaurants before moving to Arusha to take over at Onsea House in 2006. 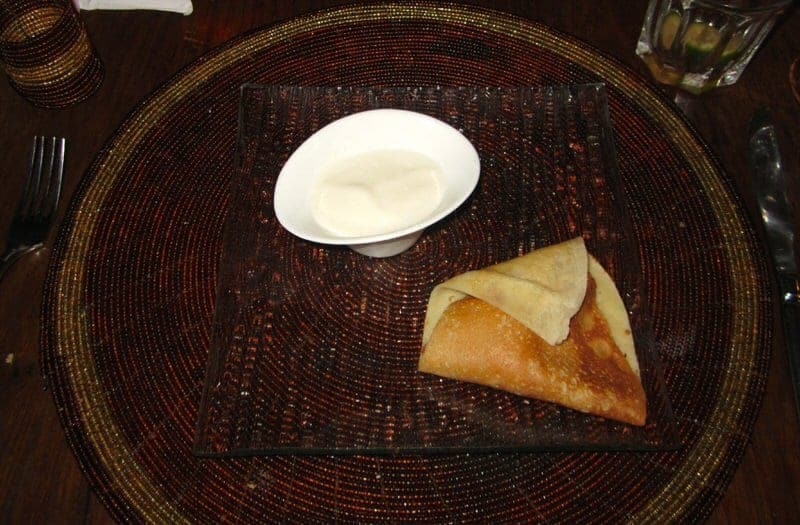 The menus at Machweo combine traditional French cuisine with local East African ingredients. According to Machweo’s website the food and service is best described as “brasserie style with an African touch”. Almost everything is homemade, including the breads, soups, and ice creams. 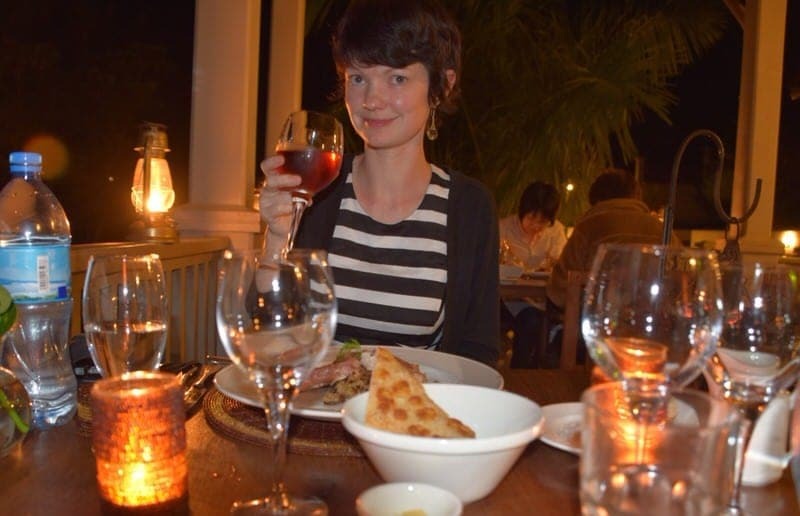 Dinner is the highlight of many guests’ stay at Onsea House or Machweo. The restaurant, which is perched on a hill, offers good views of the sunset and we left our cottage early to enjoy some coffee and time to write in our travel journals before dinner. 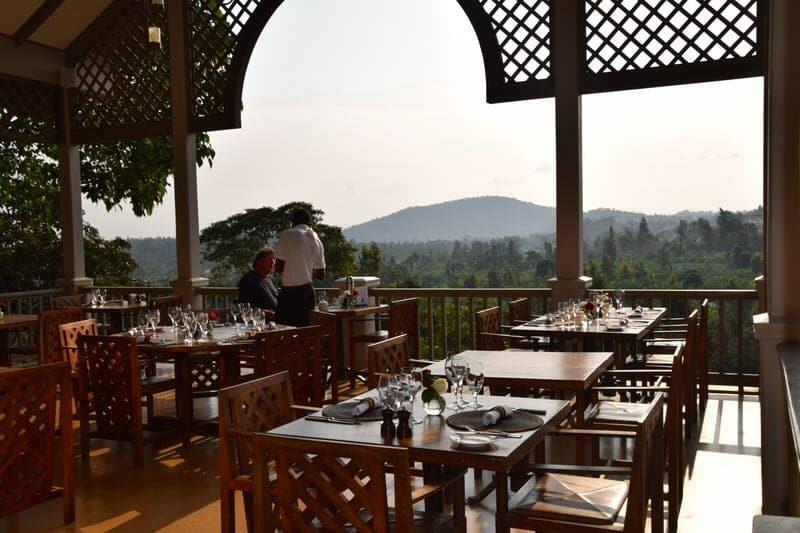 We were seated in the outdoor dining area and were able to take in some view of Mount Meru in the distance and watch the evening sunset over coffee and espresso. Musicians began playing in the corner of the restaurant and sitting here was a very nice way to relax before dinner. We had the half board option at Machweo House and so the recommended wines (and soft drinks) were included in the price of our meal, although there was also an extensive wine list if you wanted to order wines outside those recommended for the meal. The service during the meal was good and the servers were quite attentive although they were not always 100% sure of the English words for some of the ingredients. The dinner menu is set although there were two choices for both the starter/appetizer and main courses. Ethan and I then of course tried all the available dishes. 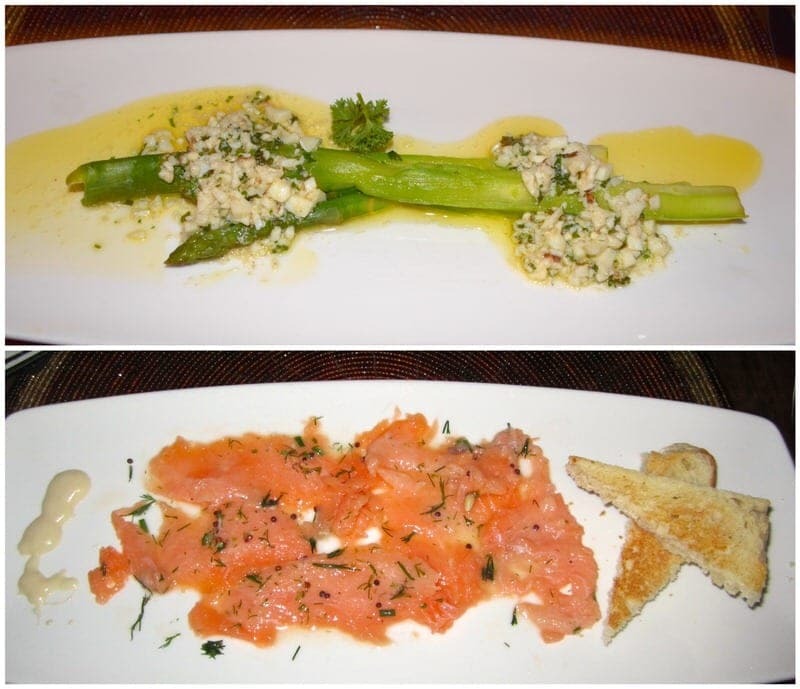 The food was delicious and some of our favorites were the crab amuse bouche, the soup (soups were always good in Tanzania from our experience), the asparagus, and the dessert. I think Ethan and I agreed that the banana rum crepe with macadamia ice cream dessert was our favorite dish of the evening. Overall, a very lovely setting and great food. We would definitely recommend coming early for a drink or coffee to ensure you get to see the stunning sunset before indulging in a fine dinner. 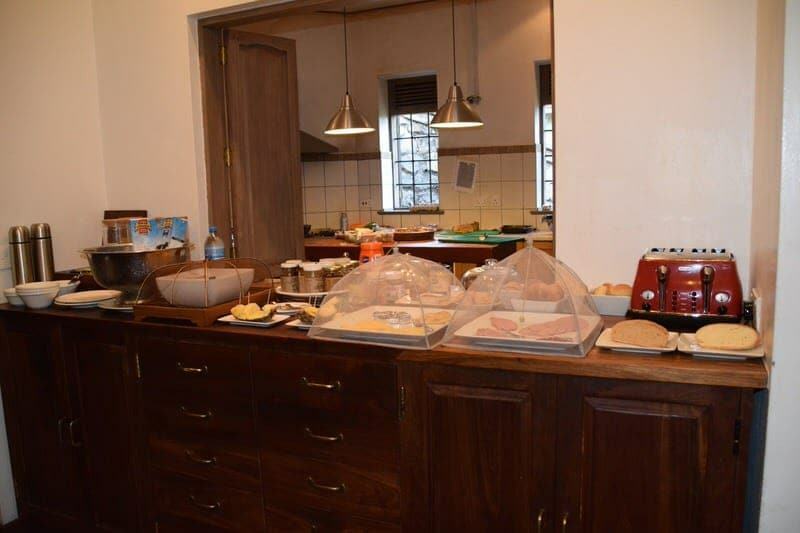 The breakfast includes both a cold European-style buffet (fruit, cereal, bread, meats and cheeses) and a menu for cooked-to-order eggs and other hot options. We really enjoyed the Parmesan cheese omelette we ordered. Fresh coffee and juice were also brought to our table. 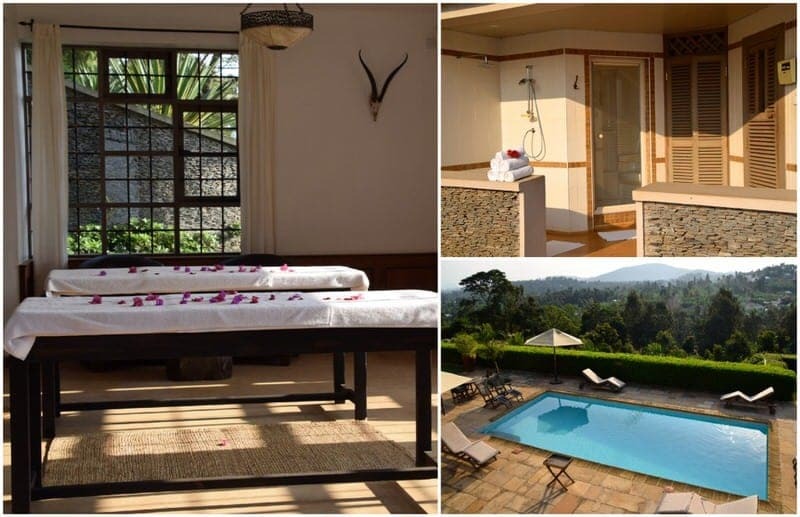 Machweo House offers lodging, dining, and a full menu of indulgent spa and wellness services. While we did not have the time to take advantage of the spa, Machweo offers massages, manicures, pedicures, and other spa services. You can also purchase time in the steam bath, sauna, and/or Jacuzzi tub. Many of these services are well-suited for those who are departing to or returning from a safari or a hiking trip to Mt. Kilimanjaro or Mt. Meru. The offered “Post-Kili Massage” would have been perfect for us if we’d had the time. If you are not interested in purchasing spa services, you can also just lounge around the outdoor pool (there is one at both Machweo and Onsea House), read in the garden areas, or relax with a drink at one of the bar lounges. We think that Machweo is a perfect place to go if you need a place to relax either before or after safari or Kilimanjaro. We only stayed for one night and I think to enjoy the full benefits, we’d recommend staying for two nights so you can make full use of the chance to stroll around the property, relax in your cottage, enjoy the pool and spa services, and savor the great food. Definitely a highlight of a stay here is the wonderful food and a dinner at Machweo is a must if you are in search of fine dining in Arusha. Even if you are not going to spend the night at Onsea House or Machweo, you can still make a reservation to enjoy dinner here. Just don’t forget to arrive a little early to watch the sunset! Ethan very happy to see a bed post-Kili climb!! 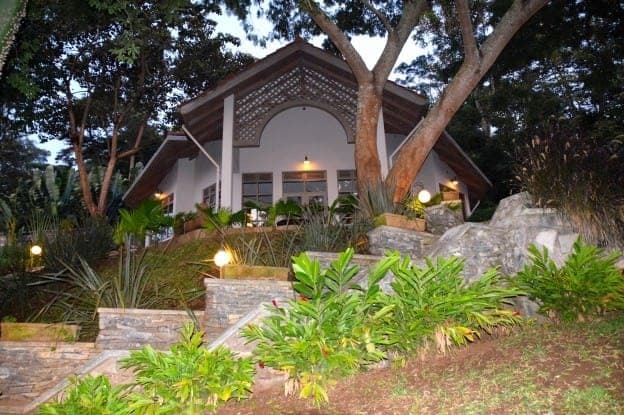 Have you stayed at Onsea House or Machweo while in Arusha? 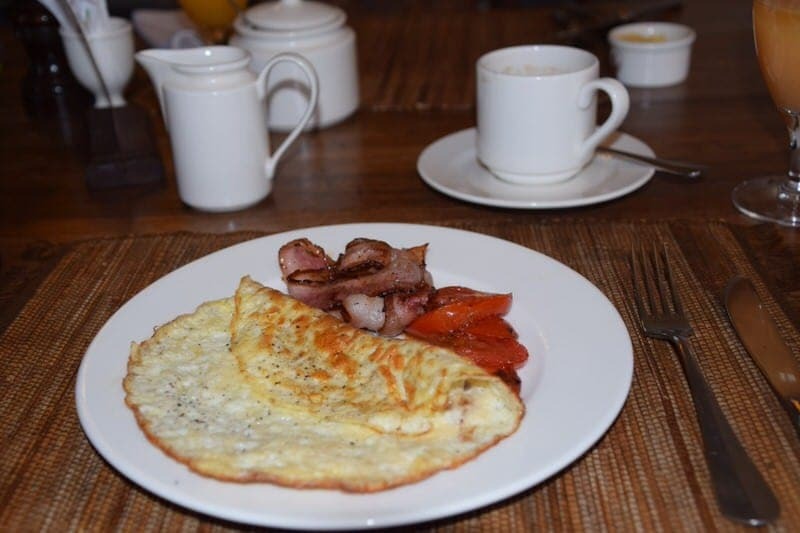 Any recommendations for good dining in Arusha? As always, if you have any questions or comments, we’d love to hear from you! Wow, that view and your food look truly wonderful! It sounds like you guys had an awesome time, thanks for sharing this experience! How amazing are those views! The view from that restaurant is really something special. 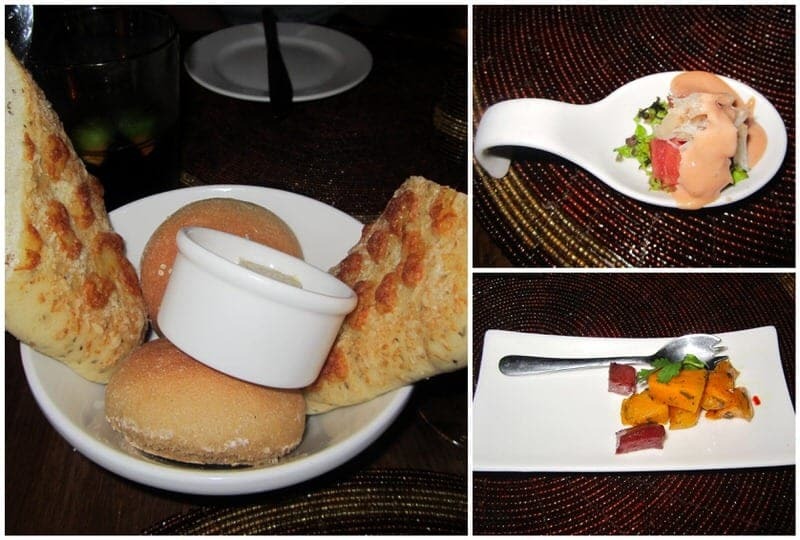 Beautiful pictures, it looks like a lovely dining experience! Ethan considered getting up early the next morning to take a dip in the pool, but as you could imagine, the last thing we wanted to do was to get up any earlier than we had to for the next day! Next time! Looks like a perfect place to call home after the climb! And with such delicious food! Yes, a perfect retreat after the climb! Thanks Cacinda for stopping by! That is an AMAZING setting. And despite the food not being what Tanzania is known for, it looks delicious to me! But mostly…that view! I had no idea such luxury existed in Tanzania, looks delightful! Yes, it is actually amazing the amount of luxury you can find in safari destinations. One of our guides had taken celebrity clients and he described some of the places they stayed. 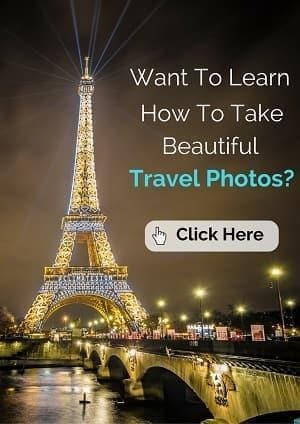 We can only imagine the luxury at some of the most expensive safari lodges and tents – it is really mindblowing considering that local people earn an average of about $2 per day. Yes, after Kili we definitely needed a nice place to rest our weary bodies! Oh your cottage looked very nice! How cool that you guys treated yourself after that amazing trek up Kilimanjaro! It was a very nice cottage and we wish we would have had more time to enjoy it. 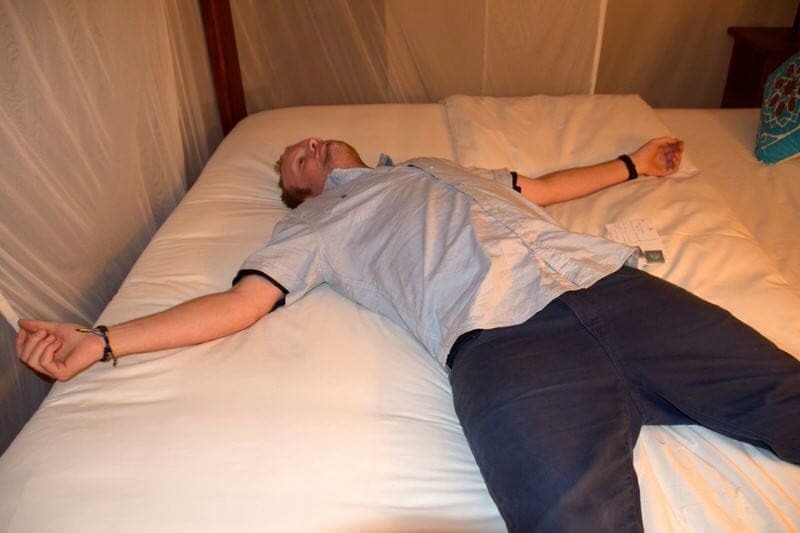 For anyone that hikes Kilimanjaro, you should definitely plan at least one full day of relaxing afterward. The rest of the Climb for Sight spent a couple days post-Kili in Zanzibar at the beach, but we started safari the very next morning. But I would recommend at least 24 hours or more of R&R. The food looks yummy and what a nice view to go along with it! Yes, the view was really nice at sunset! We also had a view from our cottage but the one from the restaurant was a little better. Although Ethan bragged that the sunset was not half as good as his sunrise the prior morning from the top of Mt. Kilimanjaro, haha. Looks so relaxing and all that food! Yummy. Arusha is a very busy and somewhat noisy place as its a major hub in Tanzania for both business and tourism, so Machweo and Onsea House do offer a nice place to relax just outside the city. We were surprised by all the vegetations and flowers, and the lovely view of Mt. Meru in the distance! The place looks great and the menu sounds divine. I just LOVE good food! 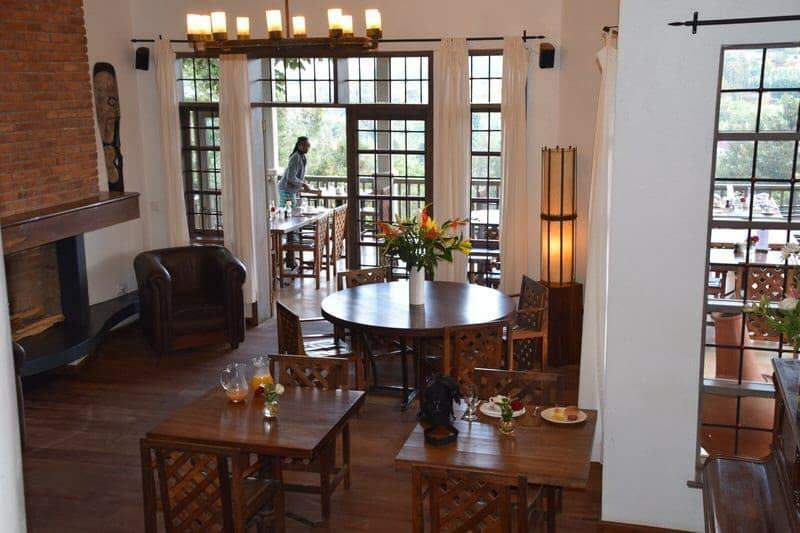 If you find yourself in Arusha, you should definitely make reservations at Machweo!